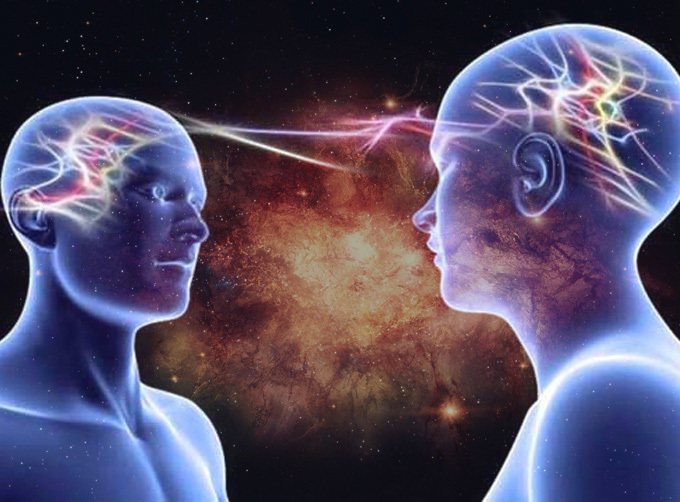 Telepathy is direct transference of thought from one person (sender or agent) to another (receiver or percipient) without using the usual sensory channels of communication hence a form of extrasensory (ESP). While the existence of telepathy has not yet been proved, some parapsychological research studies have produced favorable results using such techniques as card guessing with a special deck of five sets of five cards. The agent may simply think of a random order of the five card symbols while the percipient tries to think of the order on which the agent is concentrating. In a general ESP test the sender concentrates on the face of one card at a time while the receiver tries to think of the symbol. Both subjects are of course, separated by a screen or some greater obstacle or distance. Scores significantly above chance are extremely rare, particularly as testing methods have become more rigorous. How to Develop Your ESP?